If there is a need to manage a large property that possesses multiple locking mechanisms, it may be deemed necessary to obtain a master key lock system done by a locksmith Reno company. In common and simple terms, a master key lock system is a system in which all of the locking mechanisms of a single property will be rekeyed similarly. The reason for that is for one master key in the system created from all of the locks that are able to open each locking device while all of the other existing keys will only have the access to open a specific locking mechanism of the property. A master key lock system is the ideal way for a property owner to ensure the management of the security and safety of the premises. Often utilized on commercial properties, a master key lock system is to simplify the responsibilities of a property manager in the manner of decreasing the number of keys that are necessary to have on hand in order to gain access to multiple locked entryways of a property instead of carrying around a large key ring with multiple very similar looking keys that can be difficult to track. A professional locksmith in Reno can interchange the interior pieces of multiple locking mechanisms, so that a master key lock system will be in place on the property. This type of interchange is called a lock rekey. The important thing to remember about a master key lock system is that if ever a master key to the premises has been lost or stolen, it will be necessary to immediately rekeying locks or a lock change that are part of the system. 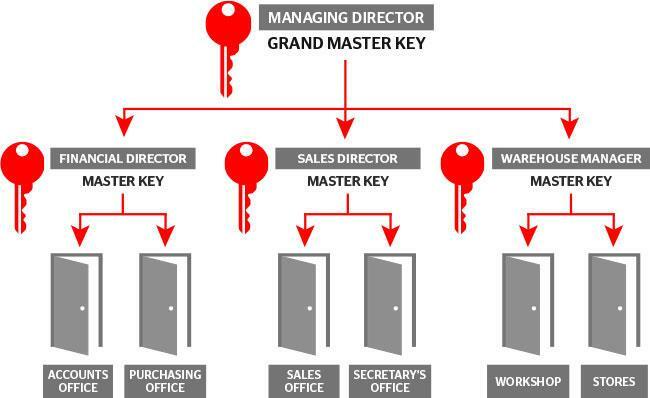 A master key in the wrong hands is an extreme form of a security breach. Remember that a master key will open almost any door on the property, whereas the majority of keys only can open one or two doors. The process of installing a master key lock system is best performed by a commercial locksmith in Reno to ensure that all parts of the locking mechanism are put together adequately for the sake of the property’s security. For a locksmith to perform the installation of the master key lock system, it will be important to lock rekey all of the locks and create a matching key for each of the locks as well as the main master key. This entry was posted in Commercial Locksmith Reno and tagged lock change, lock rekey, locksmith, locksmith reno, master key lock system, master key system, rekeying locks, reno, reno locksmith. Bookmark the permalink.